Tim McClintic knows a good deal. So, too, do his customers at New2U Consignment and Gifts, 115 W. Grand Ave., between Champions Family Restaurant and Vincent’s. McClintic is a retail entrepreneur always looking for the next, best deal. The 2007-08 Great Recession provided the impetus to get this guy on the go, on the go. Involved in the motorcycle industry for a long time, he saw his job crash and burn in the economic downfall. Laid off, he looked to strike out on his own. 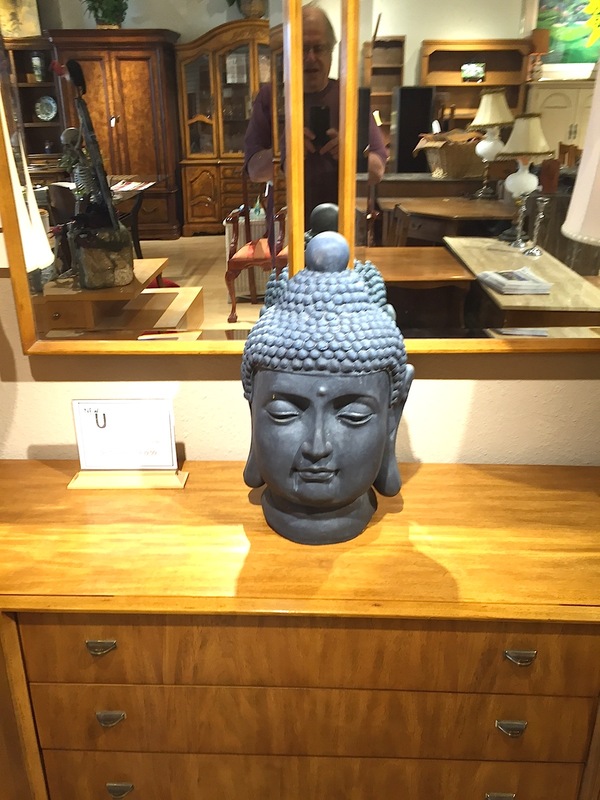 This led to an interesting career buying and selling furniture on a private basis. McClintic looked for opportunity wherever the road led him, eventually branching into scouring the countryside for stores going out of business. He bought inventory and even fixtures, re-selling those for financial gain. A dynamic guy with lots of friends and family, some of his associated started ribbing him, daring him to take his show off the road. They challenged McClintic, who had bought and sold furniture from place to place, to open his own place and see how far his customer-friendly skills would take him. In all fairness, McClintic said he was ready for a change. New2U Consignment Store from the outside. That led to Twin Oaks Valley Center, a space he obtained early last year, in a strip shopping center near his mother’s Headquarters Salon and Wig Shop, the story of which is near this tale. Fate, being what it is, the sale of the shopping center led to a much higher rent for a space too small to follow his dream of hosting a top furniture consignment operation in addition to the other goods. Looking around, he wandered into a Hawaiian apparel store. They hooked him up with downtown commercial landlord Bruce Tall _ “Awesome guy,” McClintic said — and got the New2U Consignment & Gifts in gear, opening for business last March. Oh by the way, when the smoke, and leases cleared, McClintic had all of $13 in his pocket. He went about stocking the store and getting the store looking grand. Fortunately, an outgoing personality and the kindness of strangers who soon became like family allowed McClintic to mold the store into a classy, upscale 3,000-square-foot space to display the finest in furniture, jewelry, clothing, gifts and more. Someone donated the lighting. Same with a slate wall to display goods. Being an avid woodworker, he handled a lot of those tasks himself. Ready to roll, McClintic lined up consignors looking for high-quality goods in top condition. In doing so, he loved what he did and then found love literally walk through into his life. Crystal Hanson entered McClintic’s life the same way so many of his more than 380 consignors did: through the front door. 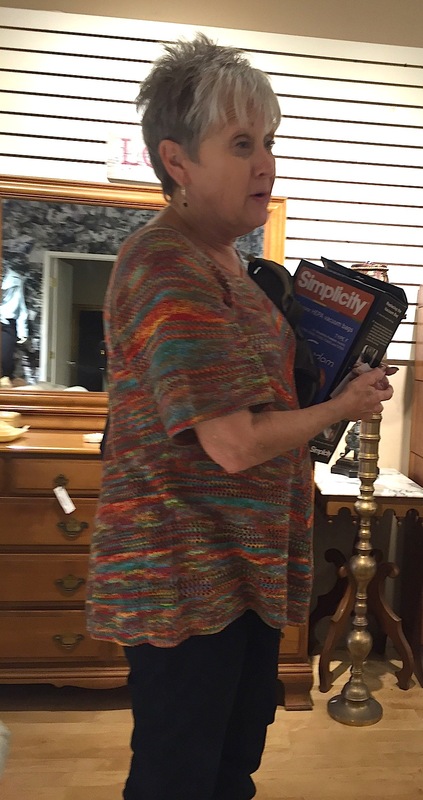 She brought in some fine jewelry for sale and really never left. 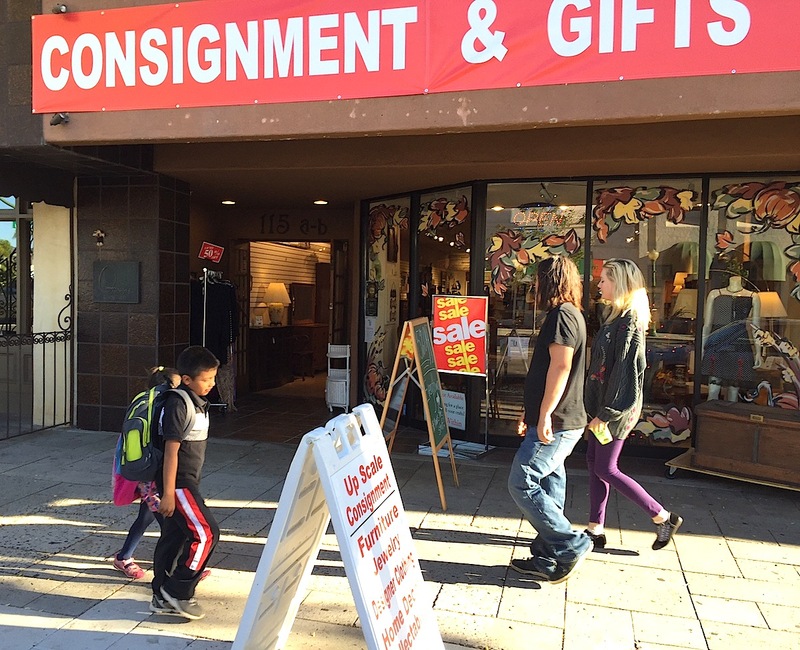 The dynamic downtown consignment shop owner believes in a resurgent shopping and dining corridor fueled by community-oriented businesses like his. Store traffic is brisk with many customers becoming regulars due to the high quality merchandise. The store finally has been breaking even and now looking at profitability going forward, McClintic said. He plans to add another 1,000-square-feet of display space soon. McClintic believes in his customers just as he believes in a vibrant Grand Avenue shopping corridor. “I like to know what the customers want from us,” he said. “We have a building and can make it anything they want. Let us know what to stock. We’ll put it in here. McClintic is very much into helping out in the community. He features a charity of the month at his store. He is partnering with the Masons of Escondido next month to stage a holiday toy drive and give Santa a place to take local requests for 10 days. Some of the many interesting items at the store. The Santa experience dated to last year. McClintic donated a chair for Santa to sit in during the Escondido Jaycees 64th Annual Christmas Parade last year. He stepped up with the store offer when Santa needed a home this year. For more information call (760) 432-0639, email Consign@New2u.net or visit http://www.new2u.net.